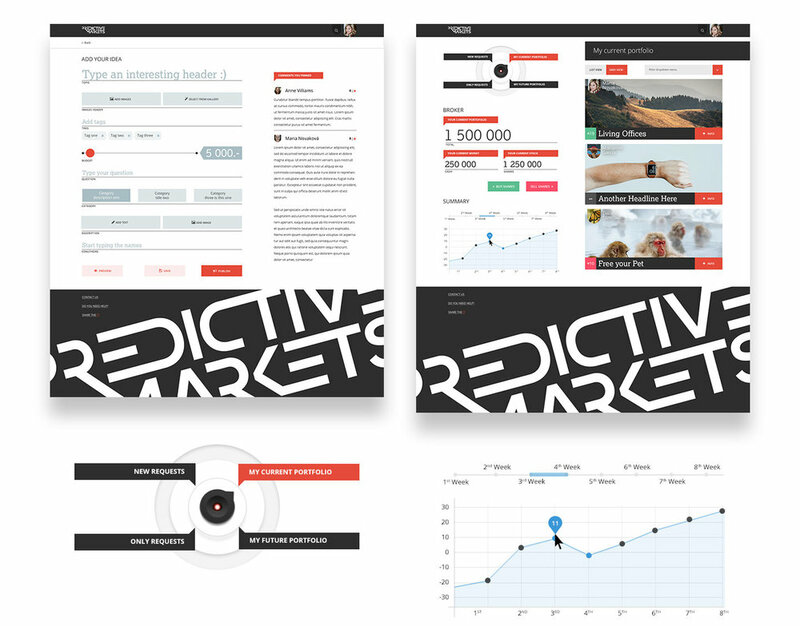 Predictive Markets software facilitates the in-house sharing and collaboration of innovative ideas in companies and other organizations. With its unique integrated virtual market platform, Predictive Markets has the power to predict the potential of new ideas, concepts, and strategies in the real-world. Ingeniously utilizing gaming principles, open innovation and crowdsourcing, Predictive Markets represents a quantum leap in cutting-edge tools for successful strategic development in business. I did the branding and original UI design back in 2013 for IdeaMarkets (www.ideamarkets.cz). Now, after almost 4 years, I refreshed the interface following a new approach.